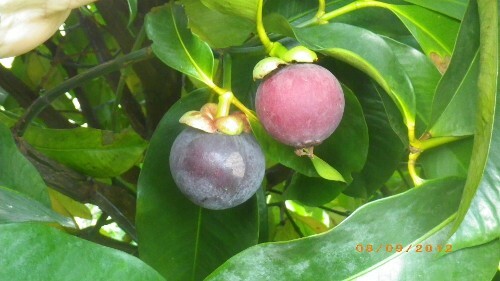 At Panoramic Fruit, we grow mangosteen, rambutan, durian, achachairu and longan in commercial quantities. 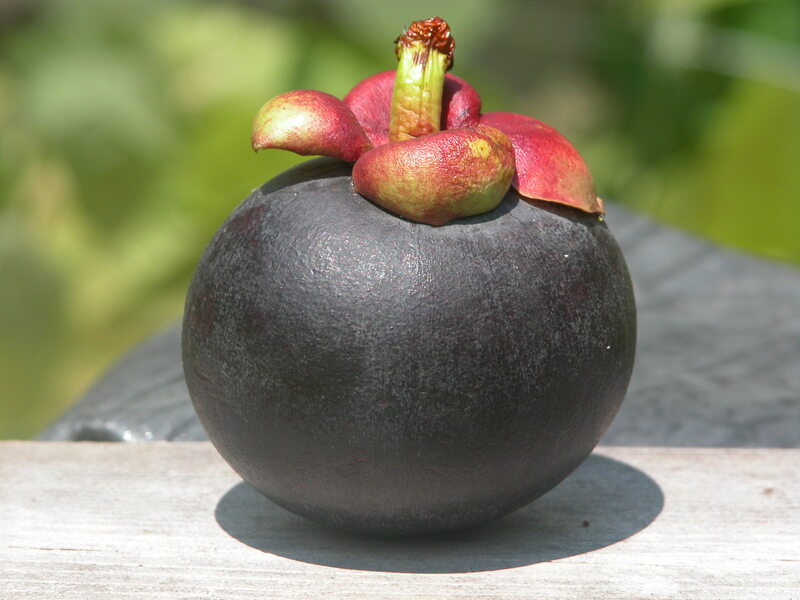 In addition, we grow smaller quantities of abiu, jackfruit, pulasan, peach palm, cupuaçu, langsat, Rollinia, lemon drop mangosteen and many other unusual exotic fruits that may be available to wholesale customers. Hurricane Maria blew away about half of the producing trees on the farm, and we are looking for help in rebuilding this damaged jewel of a place to its former scale. We see that the different federal and state agencies are struggling to be part of this devastated island's recovery. 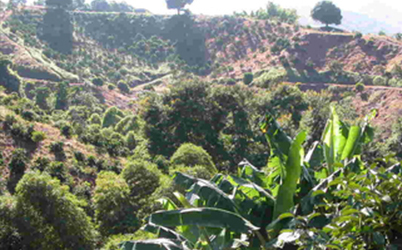 Our goal, with the help of the GoFundMe site, is to replant, cover payroll, and restore the farm to be a self-sufficient source of food for hundreds of thousands of people once again—both in Puerto Rico and in the lower 48 states of America. I set up a GoFundMe campaign, and we hope that our very ambitious goal of 5 years and $360,000 US will lift the farm back up and get fruit production back to the levels that make this a self-sustaining operation. The money will go to new trees, farm supplies, and maintenance of the older and newer plantings. 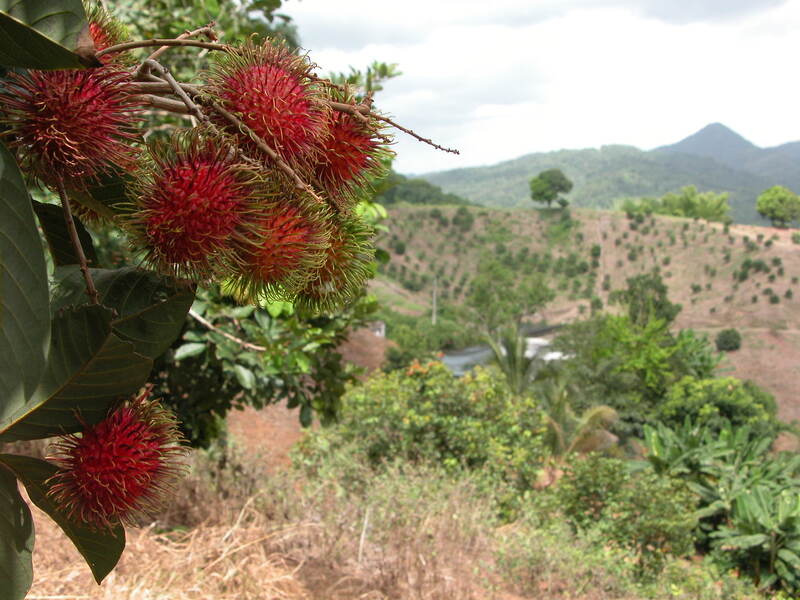 We have already started new trees from the seeds in the fruit still being produced on some of the achachairu trees, and that will take at least another 5 or 6 years to produce a new crop. The seeds came from the last 70 or so trees left after Hurricane Maria. 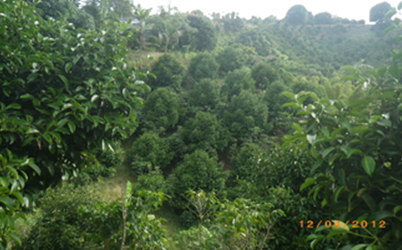 We used to have 300 producing achachairu trees. I cannot see another way to save the farm without outside financial input so I am opening the website to an appeal to any person willing to send money to help. I do not take this step lightly. Quite the opposite—I have found this very hard to do but feel the alternative, losing our people and the farm, is the last thing we want to do. Most of the work of the last quarter of a century is still in place and can be restored. Help save the farm today! About 2,000 of the original 7,000 tree farm are gone. The losses amount to about half of the former production, so the hope is to find funds to buy and replant. This is a difficult time for all of Puerto Rico, its people, and their hopes for any kind of decent future. Our part in this is small. We are farmers producing fruit for the island and for the lower 48, and most of the year, we can get by with only six people. We have supplied locally grown fruit for hundreds of thousands of people in Puerto Rico each year but need to replant about half of the fruit trees if it is ever to reach a sustainable size again. In December 2017, we applied for aid and just received enough from the USDA FSA to get us into 2020. If we can raise enough through this appeal, we will keep trying to replant and expand the farm back to its previous size—or, funds permitting, even larger. People we know, people who have toured the farm over the last 24 years, and total strangers alike have already started this process—and we cannot thank all of you enough. The donations are keeping a crew in agriculture in an area where it is increasingly hard to find jobs of any type. Unfortunately, farming is on the wane, the vast majority of the food is being produced from off the island and arriving a bit less fresh than a local grower could produce. One farm cannot reverse this but giving up and not trying to make a difference is the least appealing choice of all. If you can contribute without hurting your own financial situation, please do.